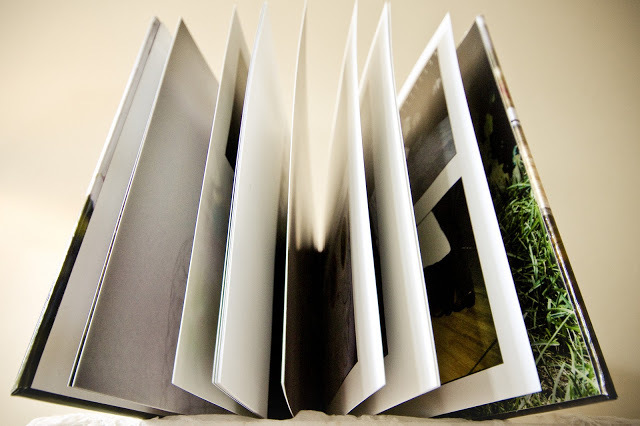 These lay-flat album books of mine are printed on high quality archival paper which not only provides vivid fade-resistant colors and brilliant whites but also ensures that this book will stand the test of time. 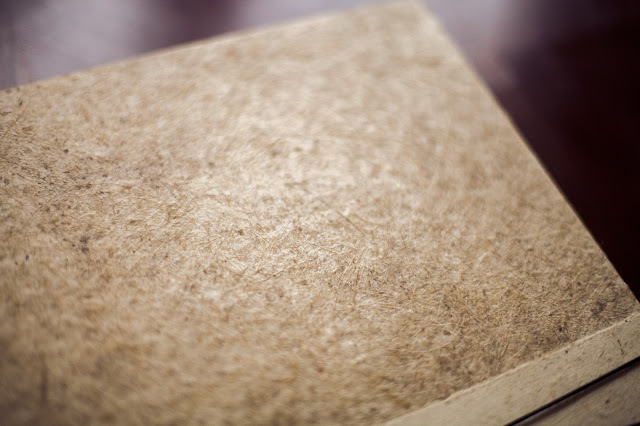 The paper is durable and has a beautiful scuff-resistant pearl-gloss finish. 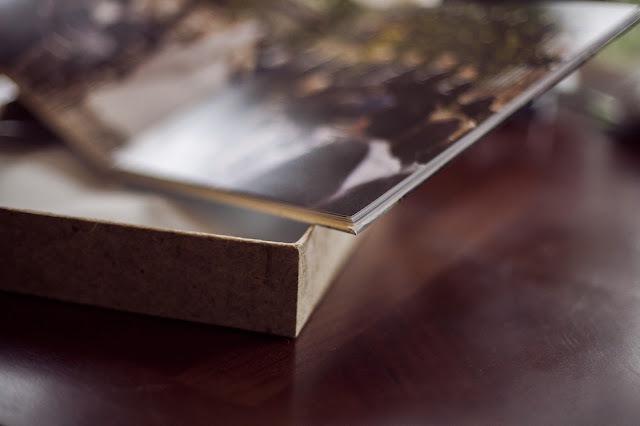 The way they are bound allows every page spread to lay flat without any seam separating the pages, with the panoramic spreads being the biggest plus. 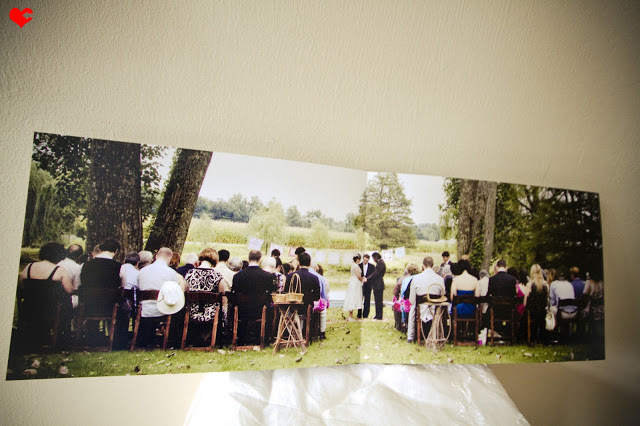 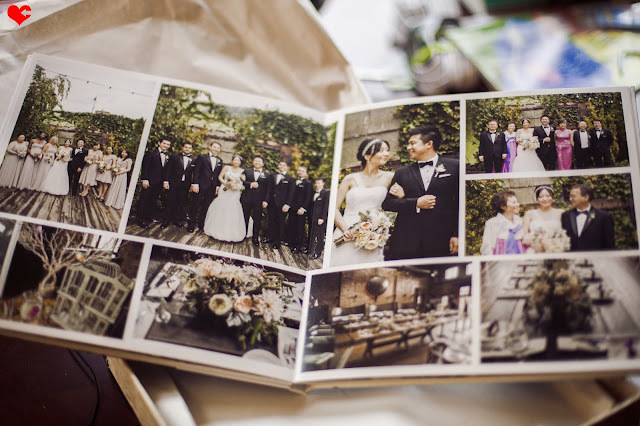 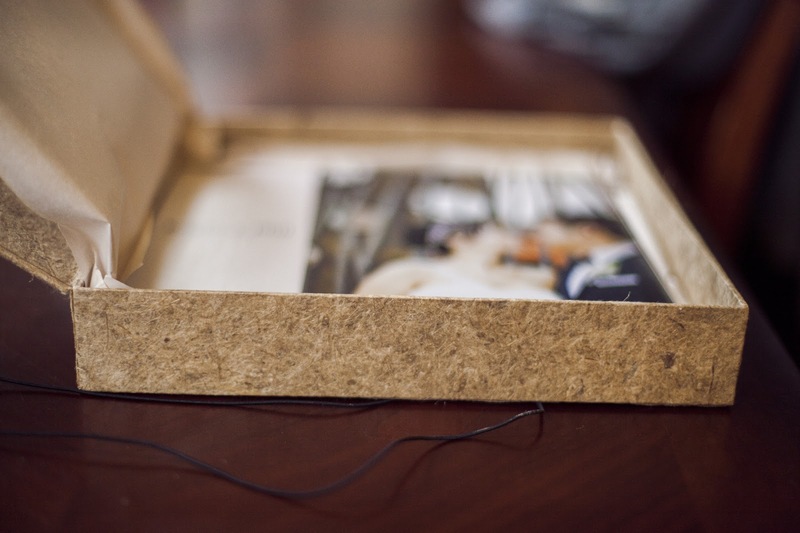 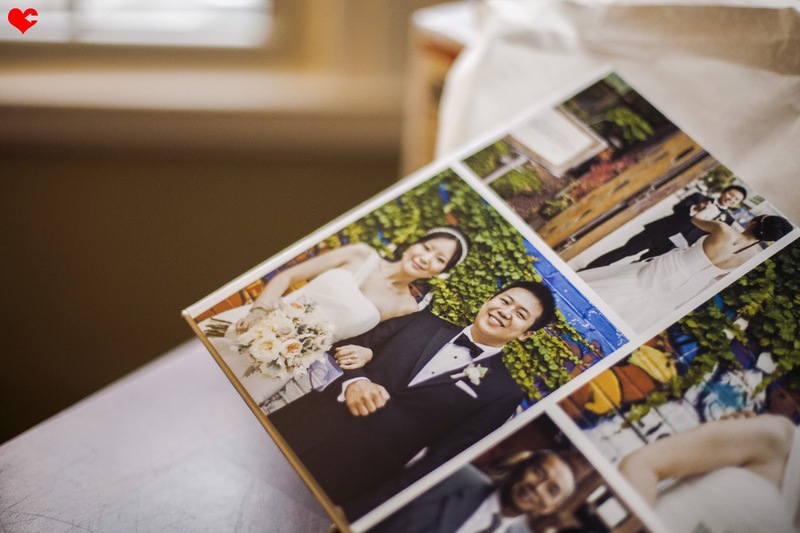 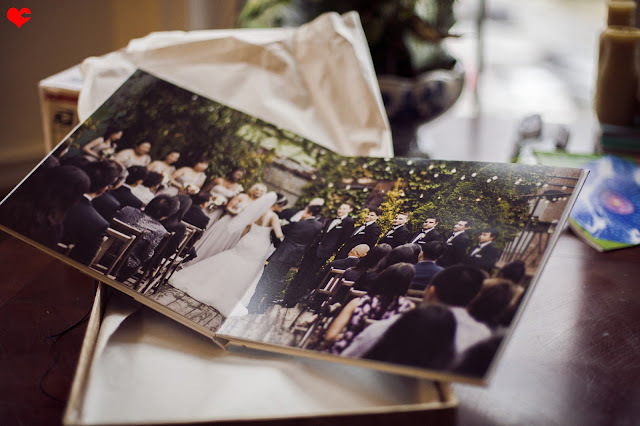 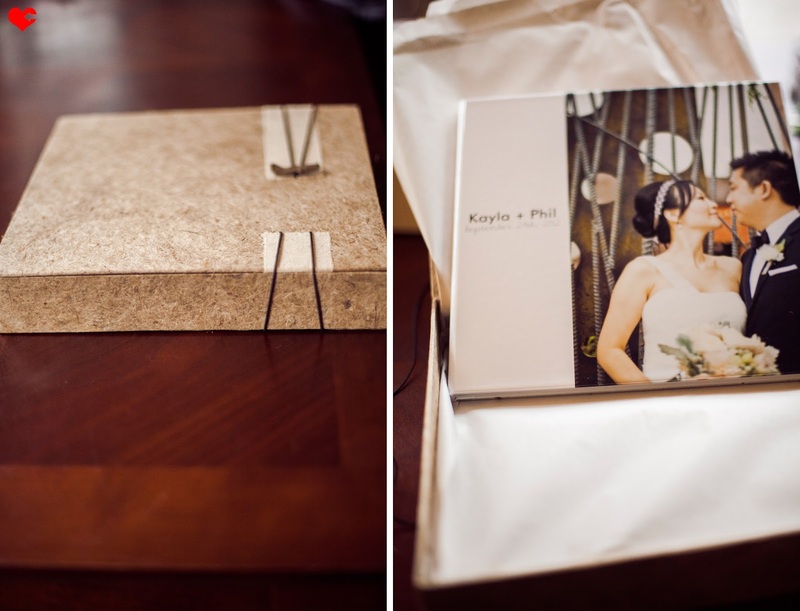 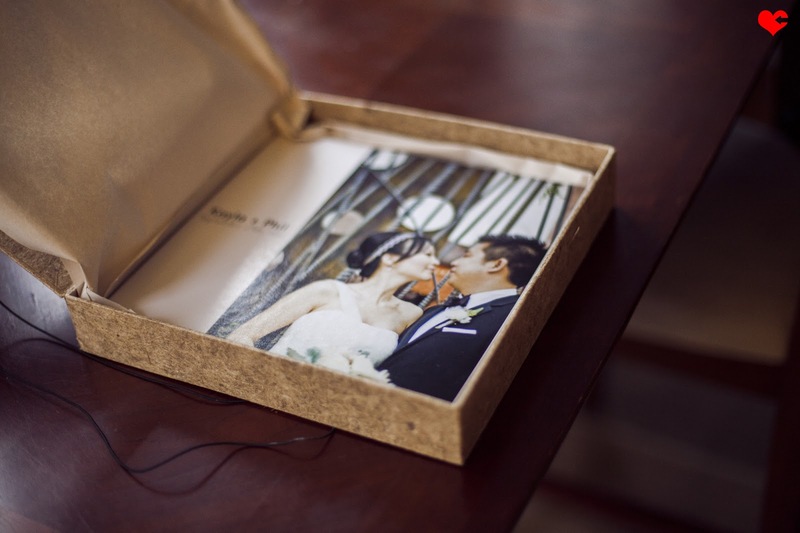 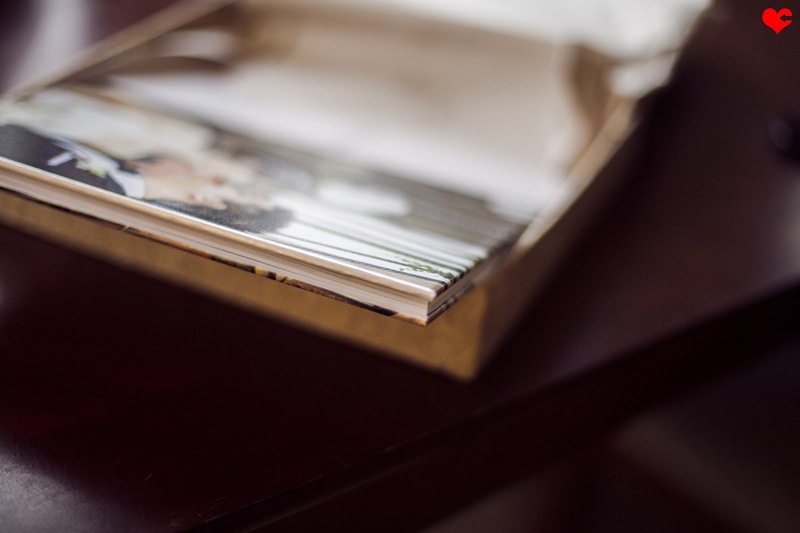 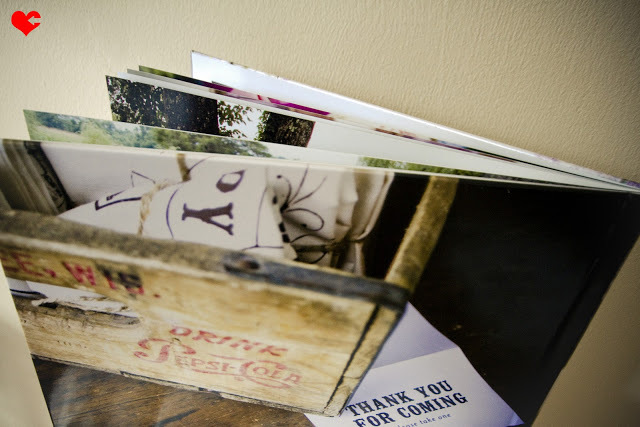 I am still toying with a second offering of more eco-friendly alums but for now I am sticking with my tried and true affordable album that my own wedding photos are printed on & I utilize green packaging + shipping supplies every step of the way! 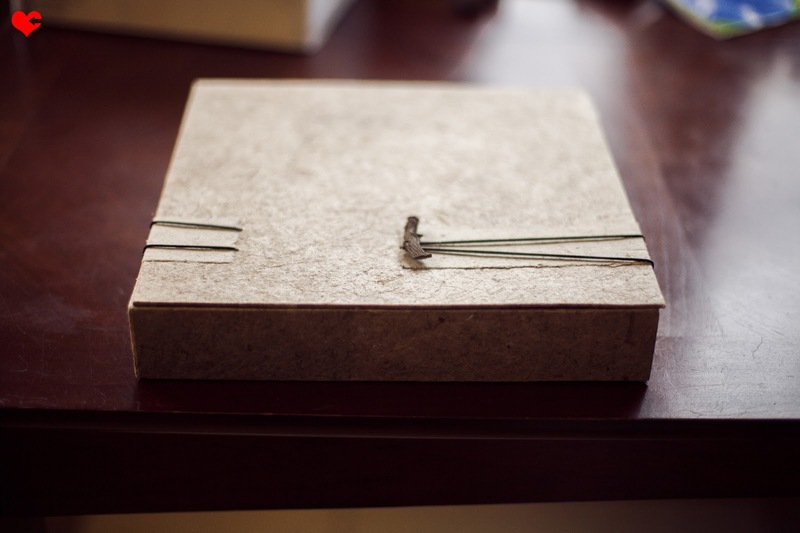 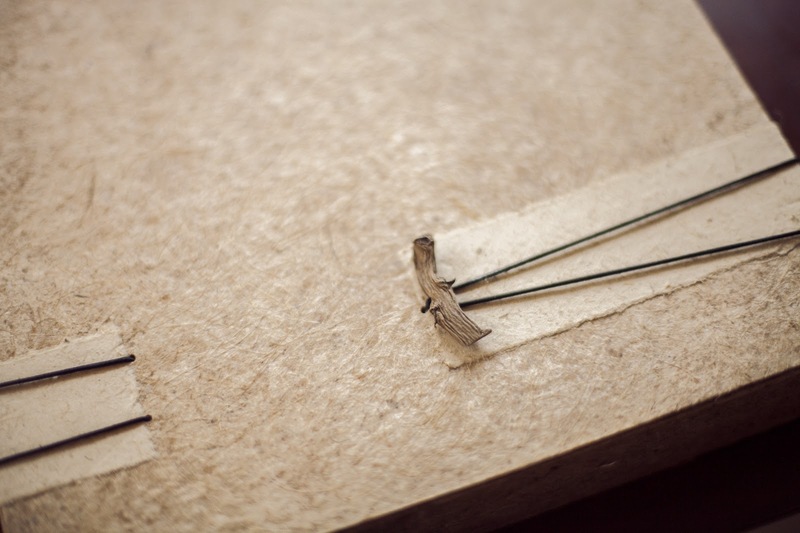 The boxes I have to offer come in this natural color with the bark tie or a simple eco black box (made from natural fibers). Happy wedding album making to me! 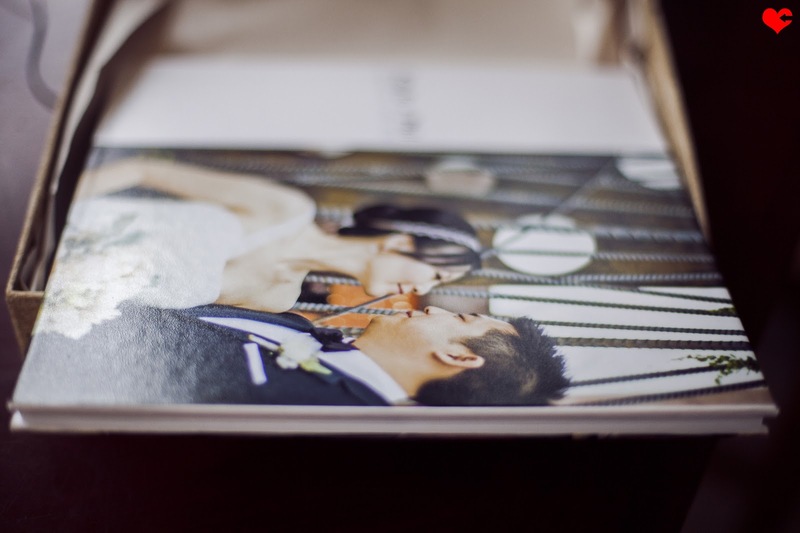 -Althea + Jason's Gorgeous Wedding! 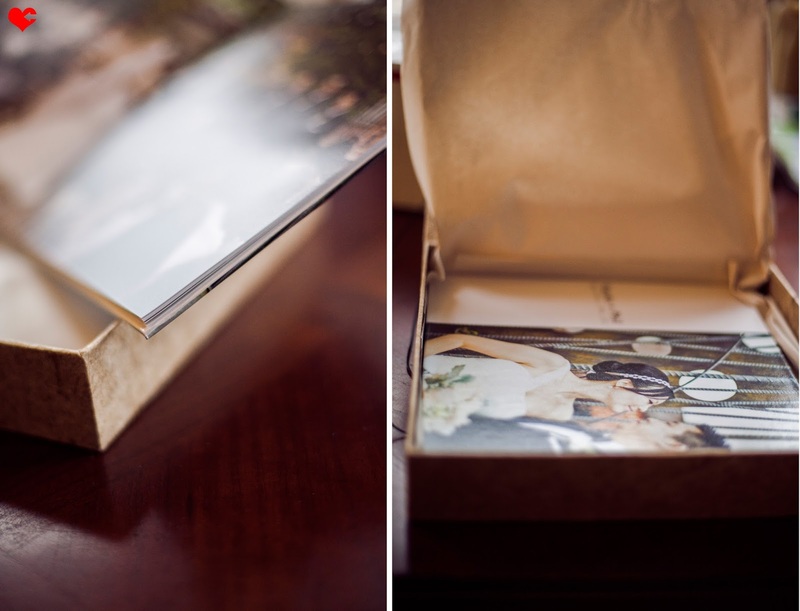 -Heather + Edwards Engagement Portraits!